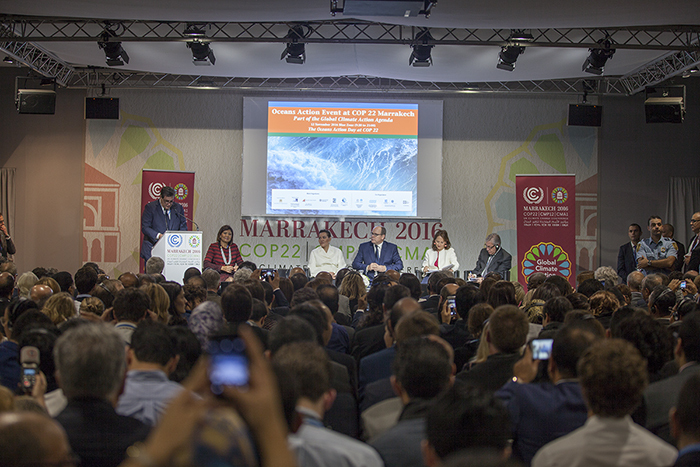 The first ever Oceans Action Day convened on Saturday, 12 November 2016, on the margins of the twenty-second Conference of the Parties to the UN Framework Convention on Climate Change (UNFCCC COP22). 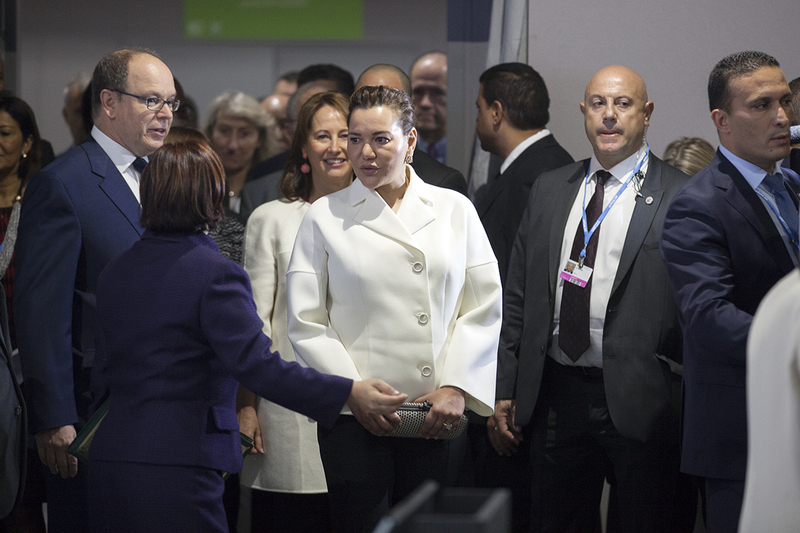 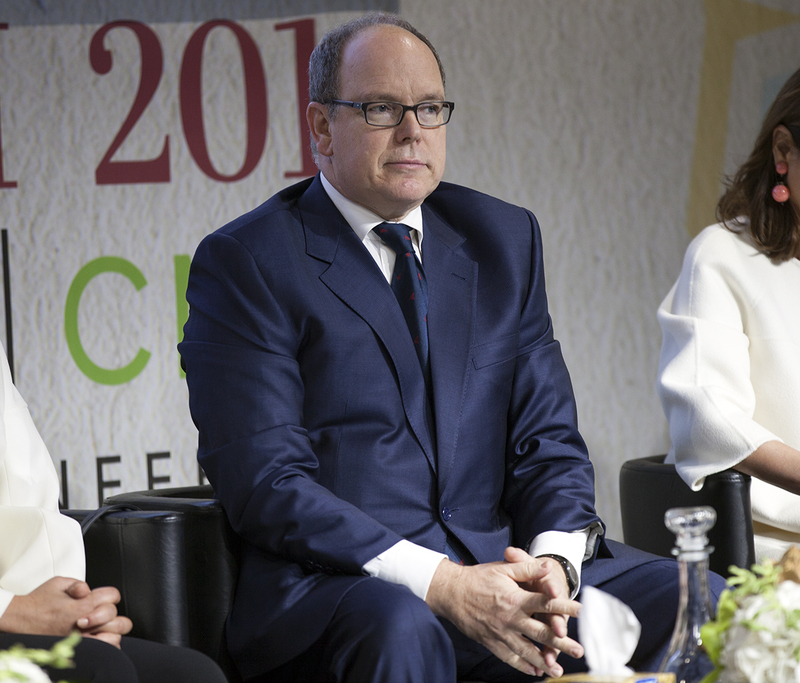 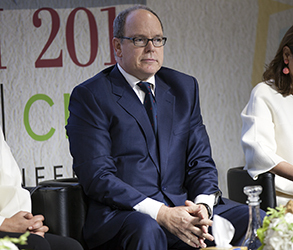 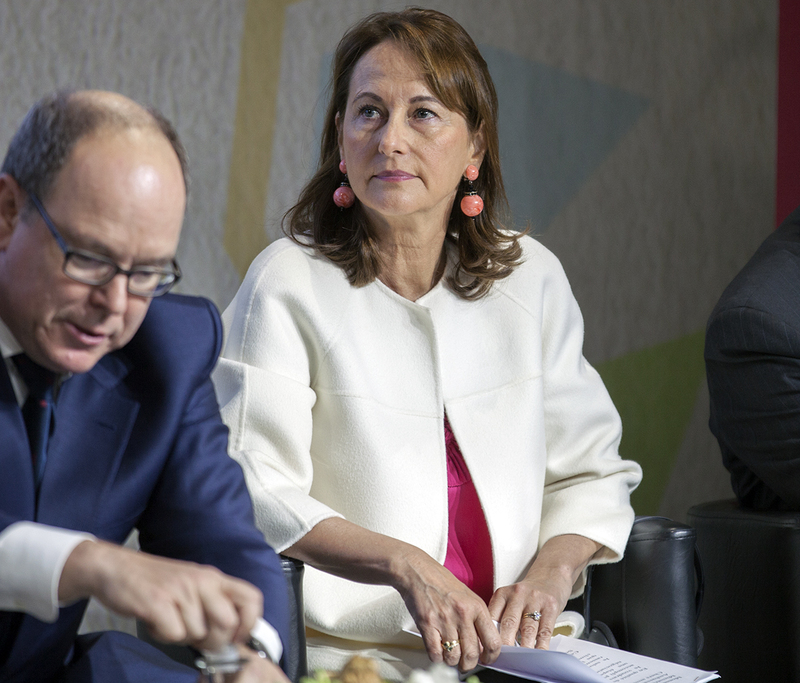 The day began with Her Royal Highness (HRH) Princess Lalla Hasna of Morocco, and His Serene Highness (HSH) Prince Albert II of Monaco providing opening remarks. 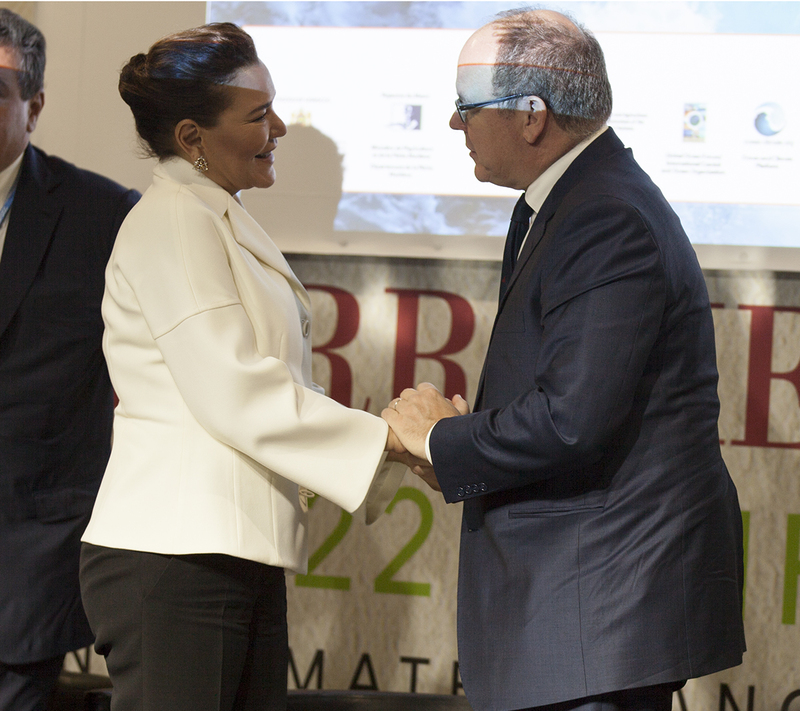 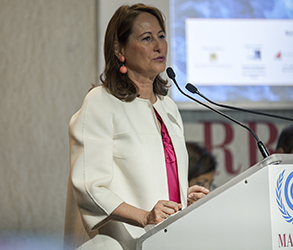 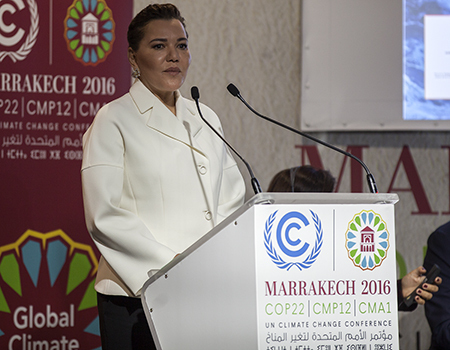 Princess Hasna outlined Morocco’s Blue Belt initiative to develop socio-economic activities from marine resources in coastal communities. 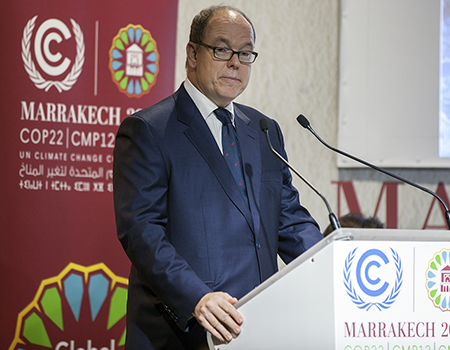 Prince Albert highlighted UN initiatives that seek to protect marine areas beyond national jurisdiction. He urged that the hour has come for humanity to protest and act. 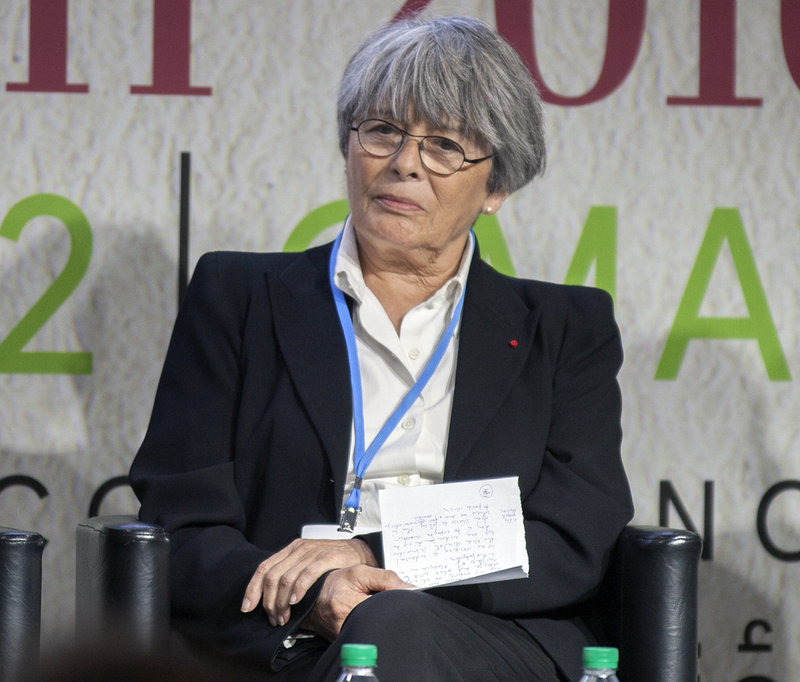 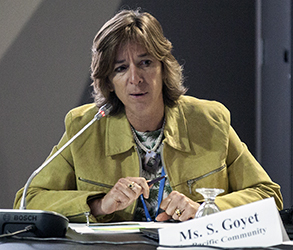 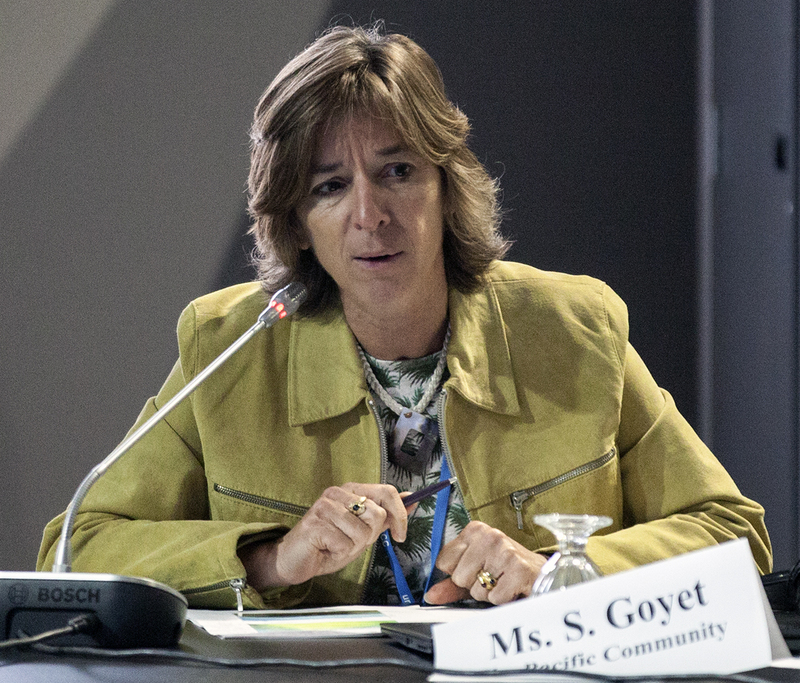 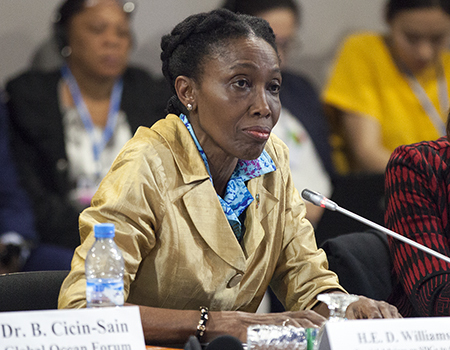 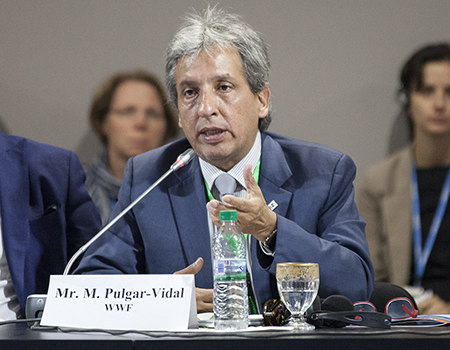 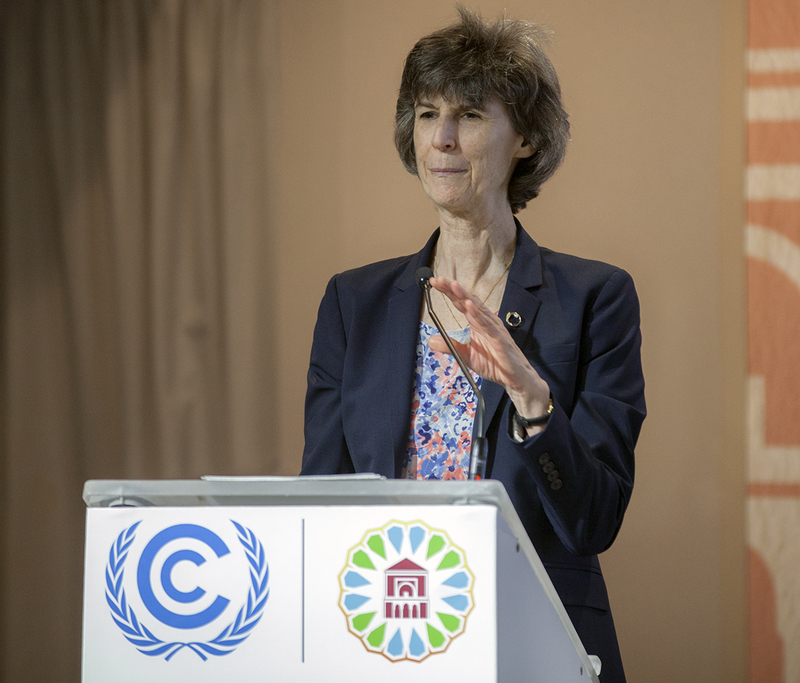 The showcase featured ministers, scientists, private sector representatives, and policy makers who elaborated on policies, action plans, initiatives and commitments to implement the Paris Agreement, achieve the Sustainable Development Goals (SDGs), particularly SDG 14 (life below water) and work towards fulfilling their Nationally Determined Contributions (NDCs). The dialogues expanded on the initiatives, action plans, policies and commitments discussed in the morning. They also highlighted efforts with regard to providing financial support, capacity development and further steps towards including oceans. 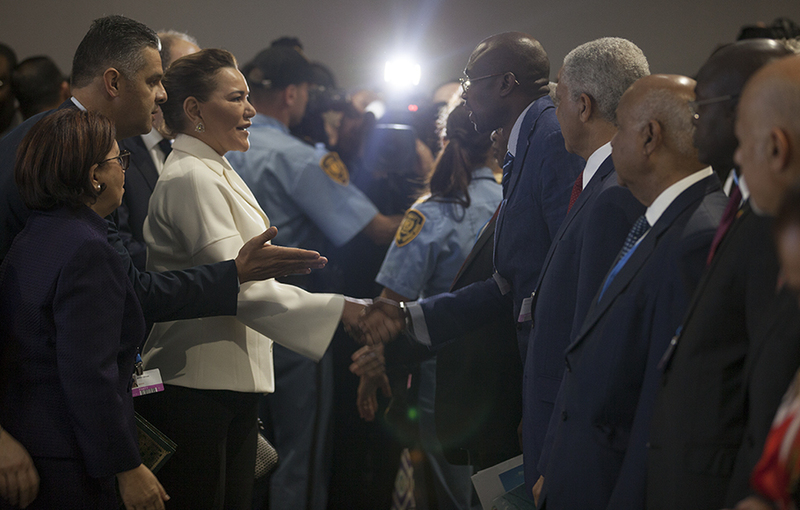 Regional dialogues took place in parallel sessions in the evening, followed by a reception. 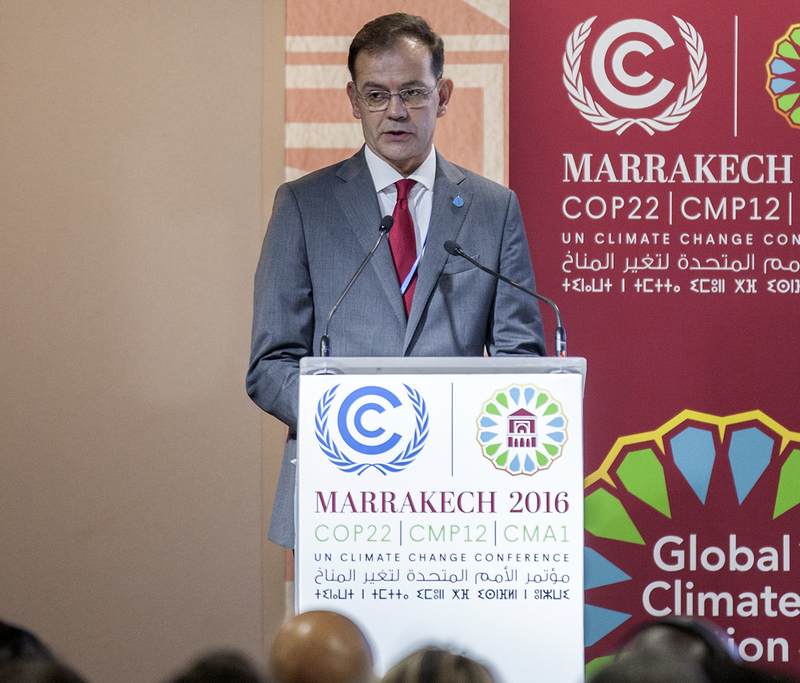 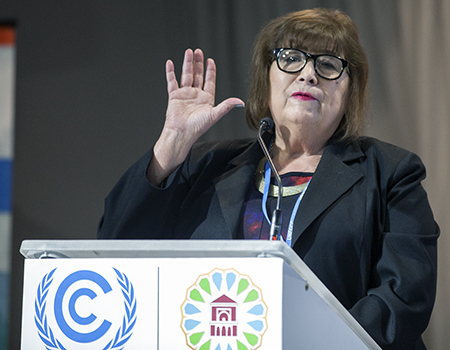 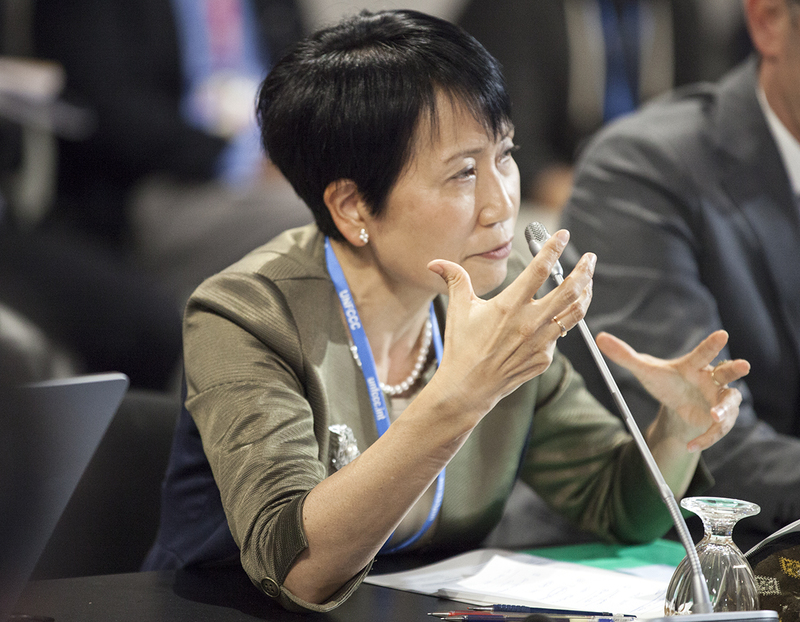 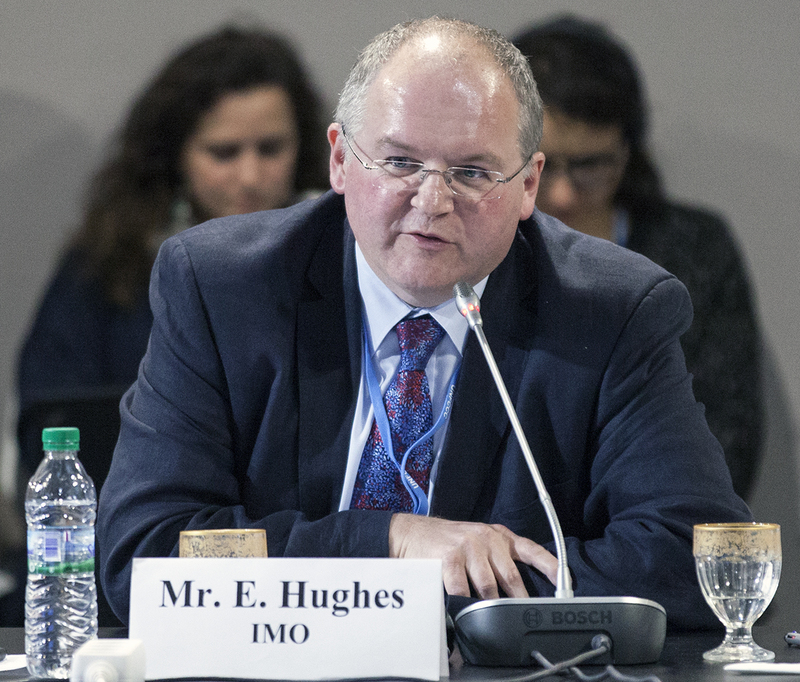 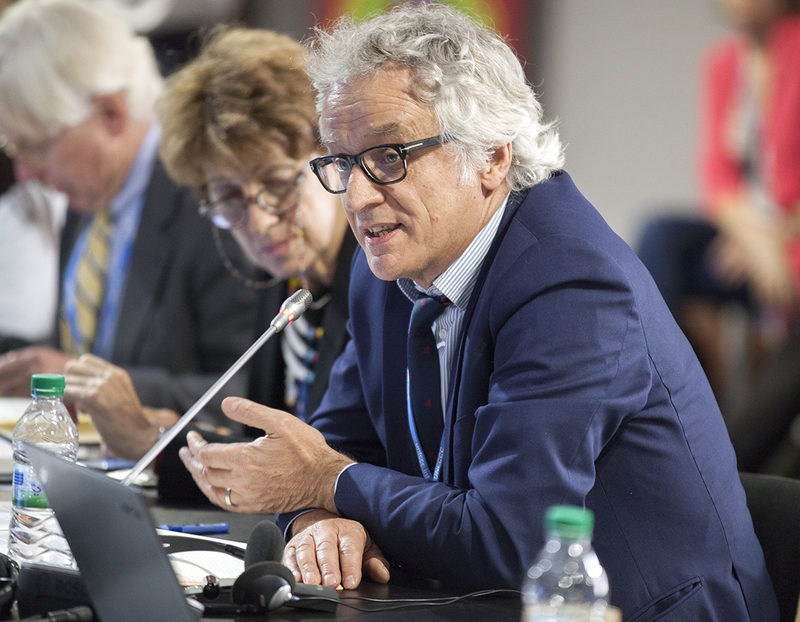 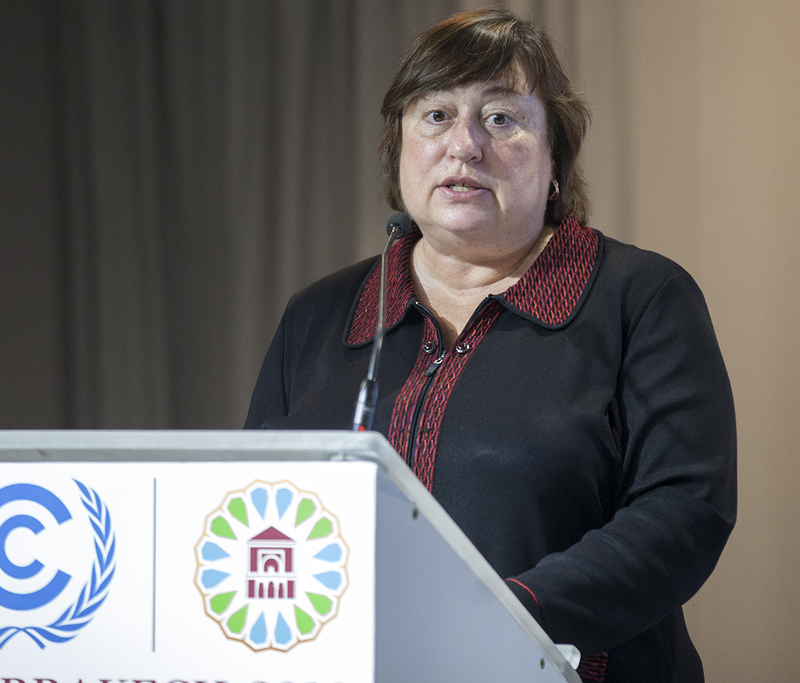 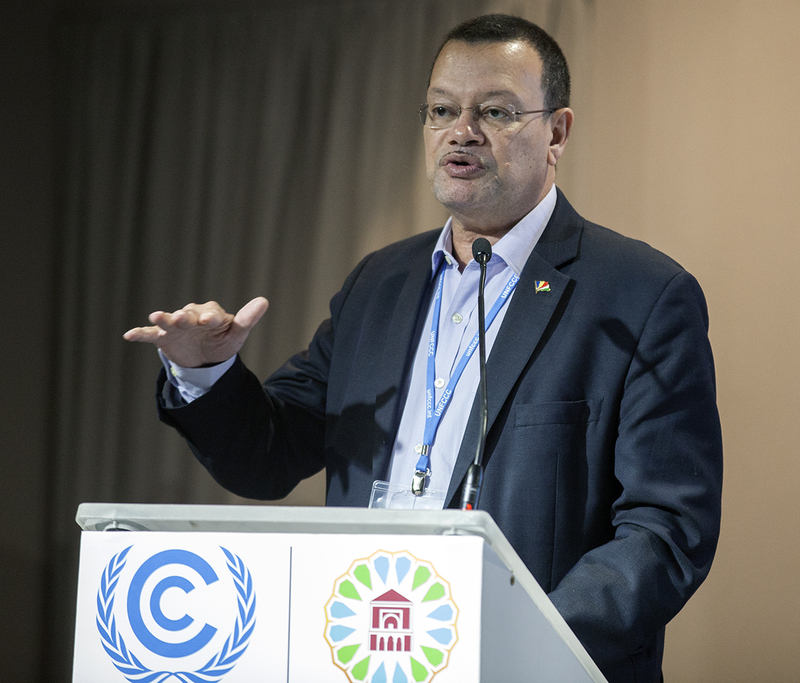 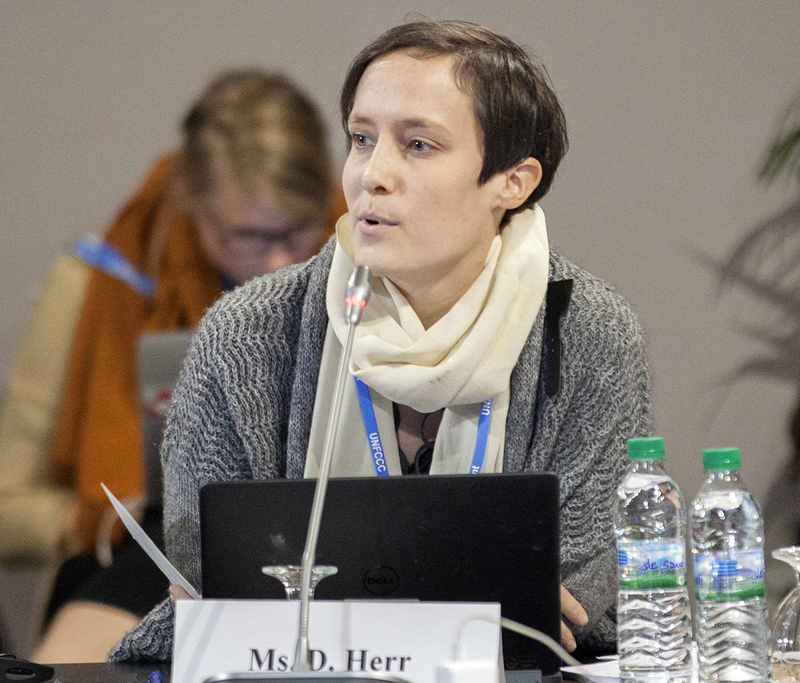 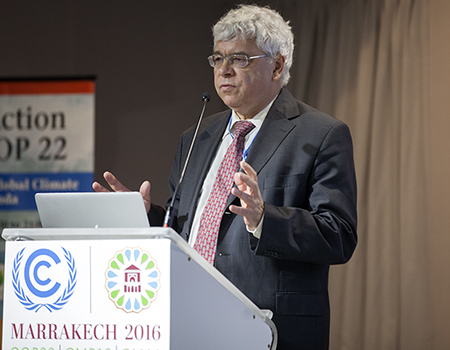 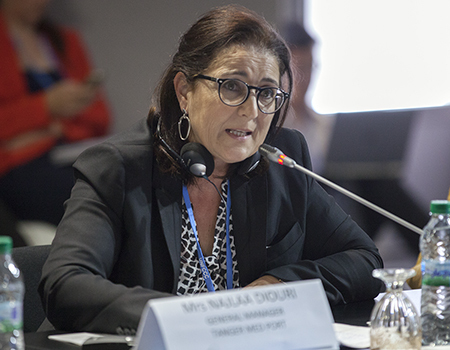 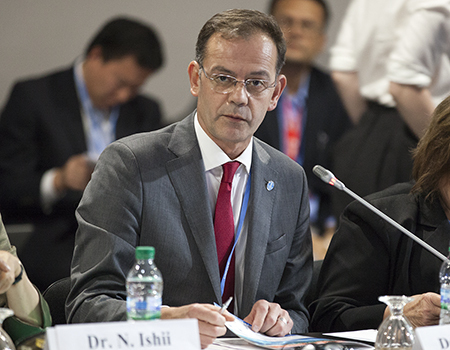 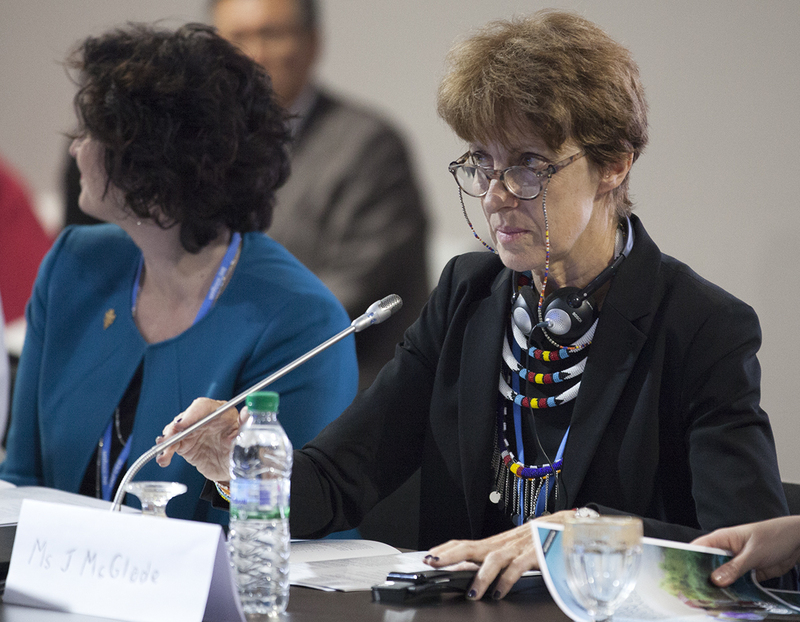 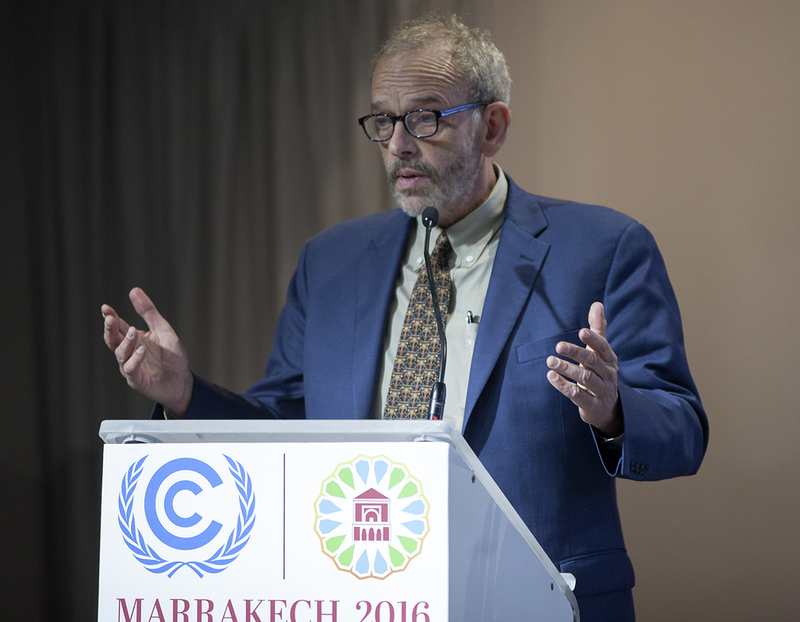 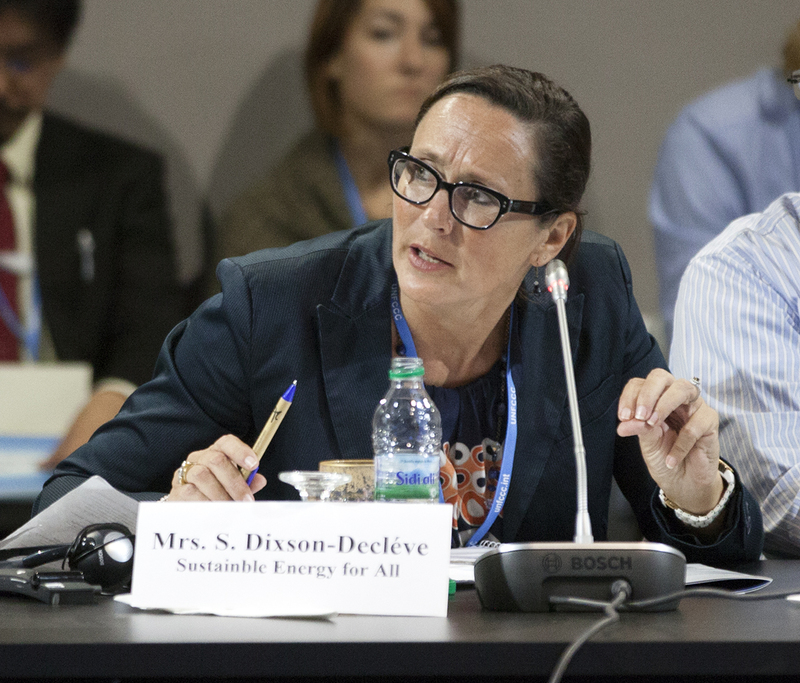 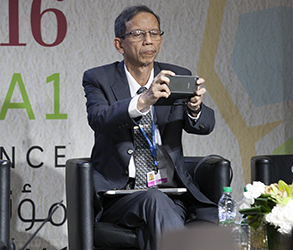 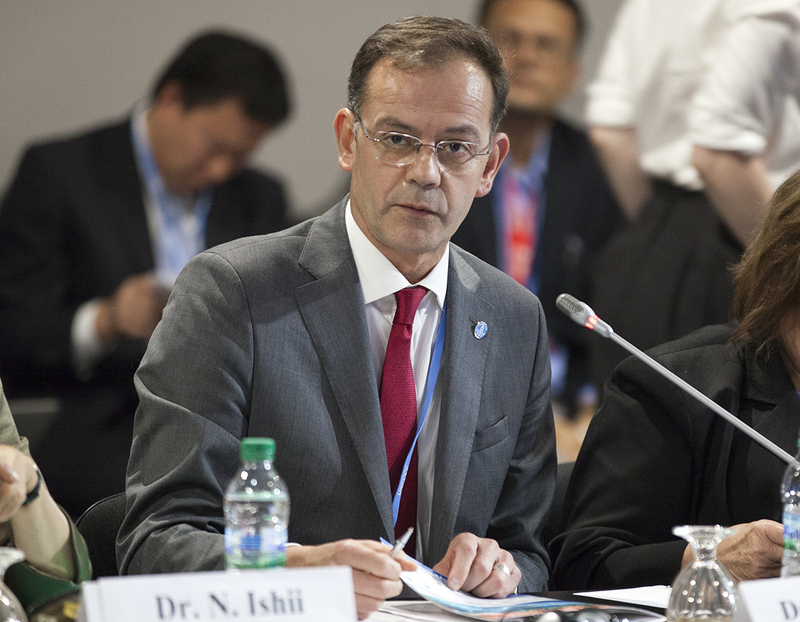 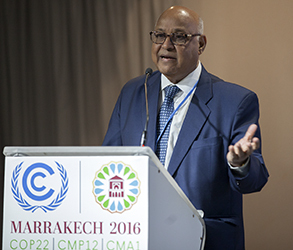 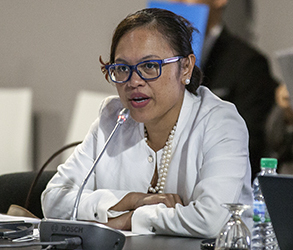 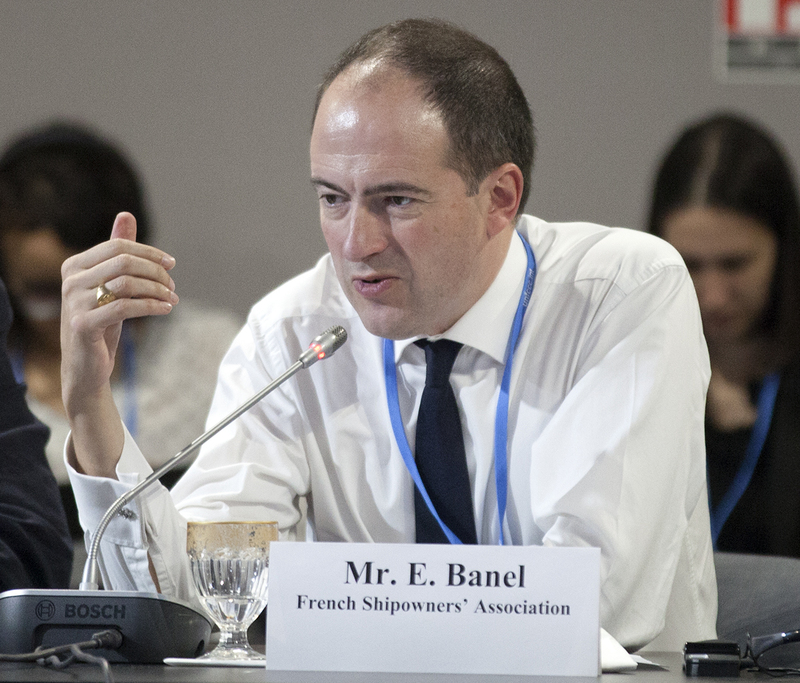 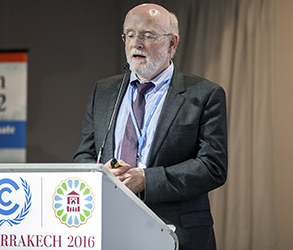 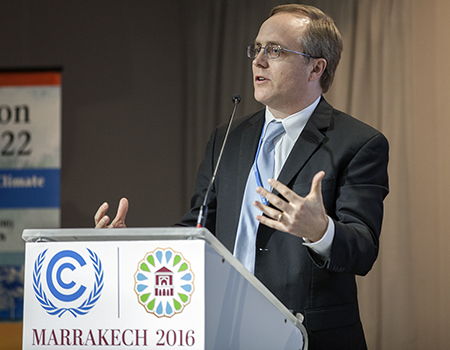 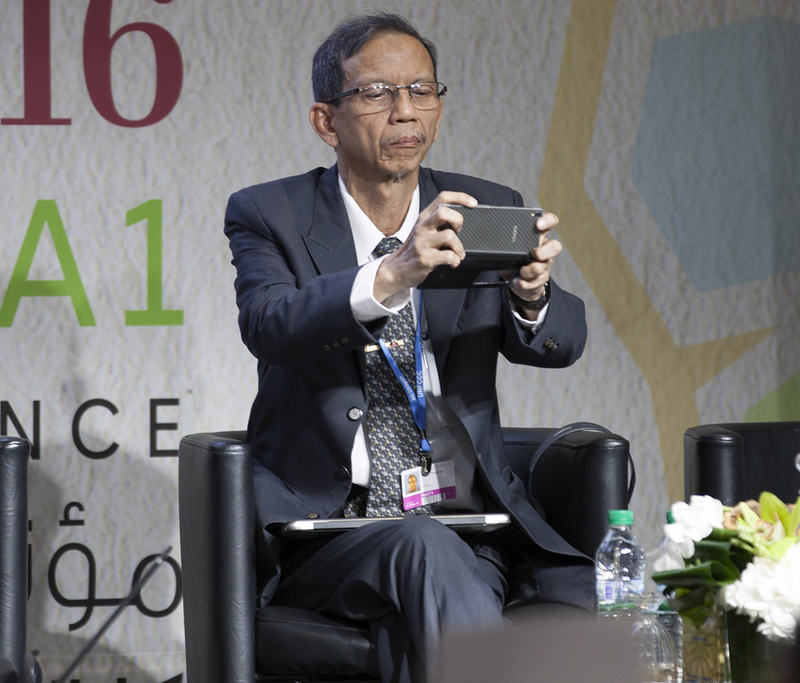 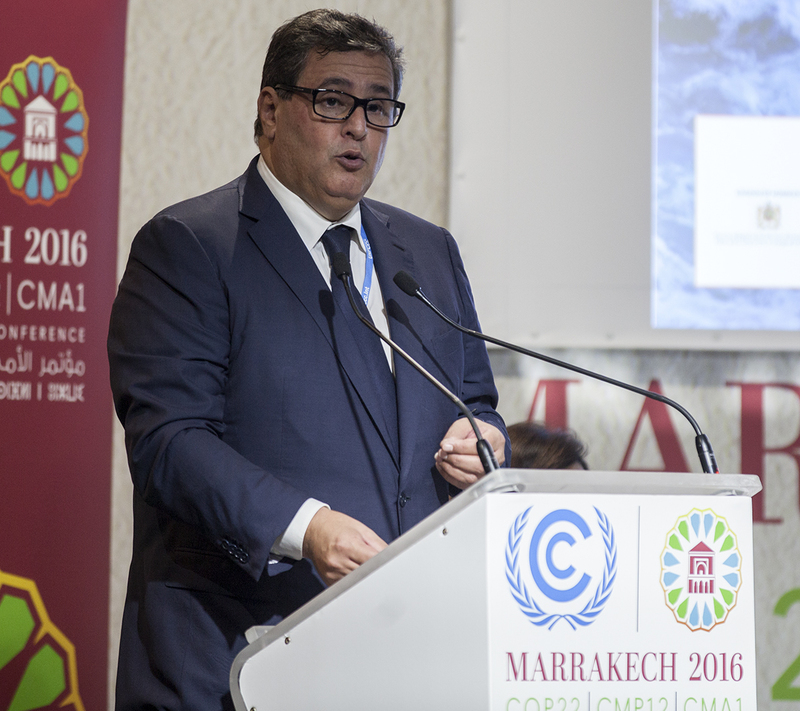 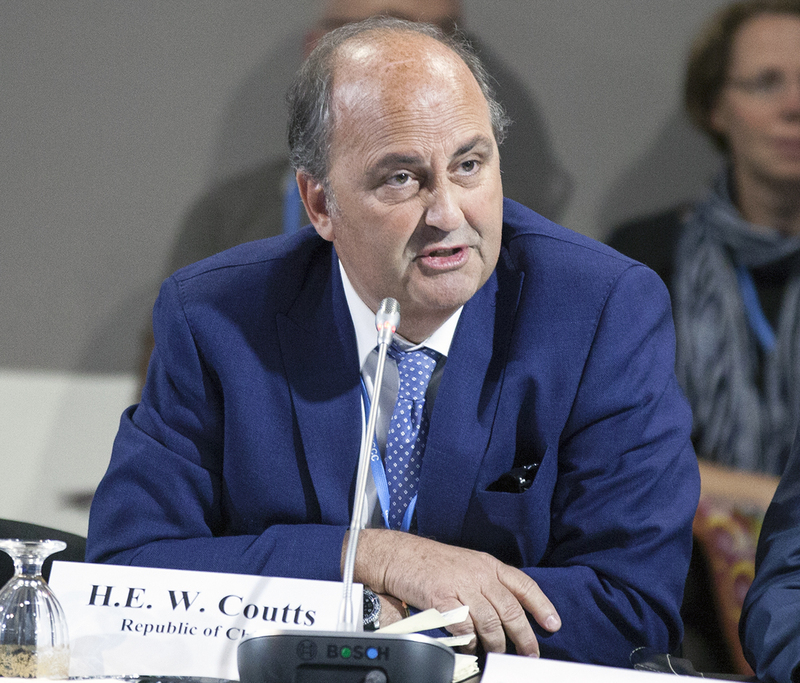 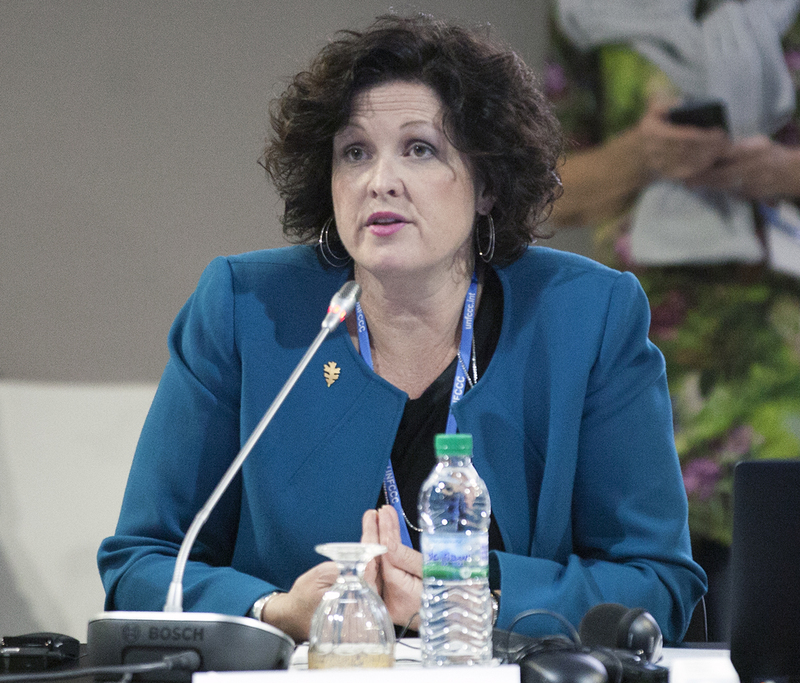 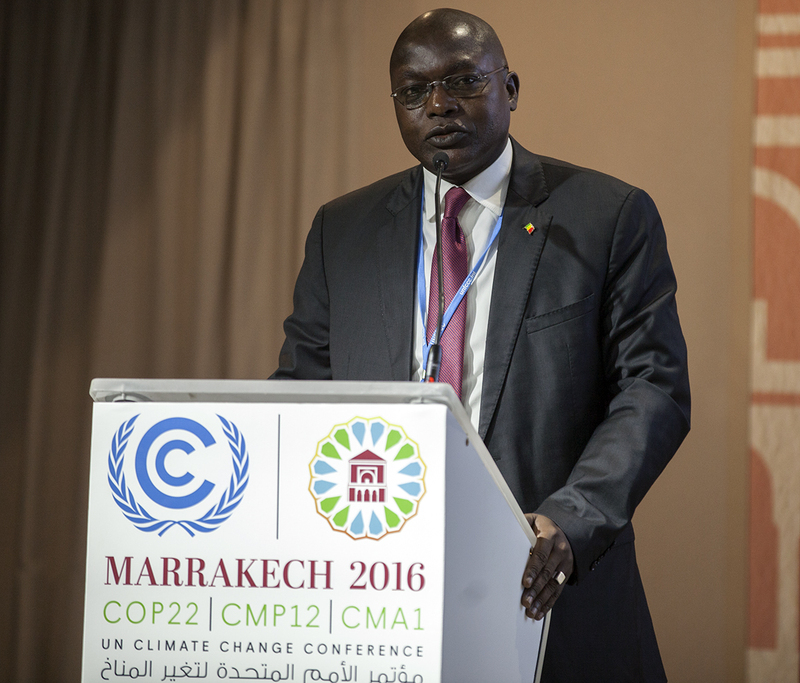 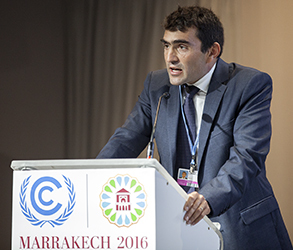 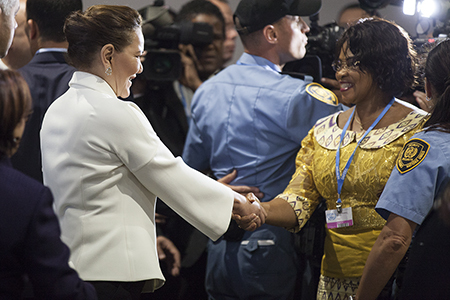 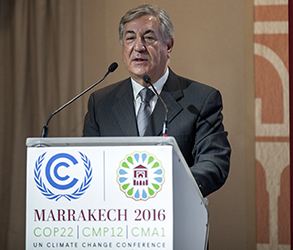 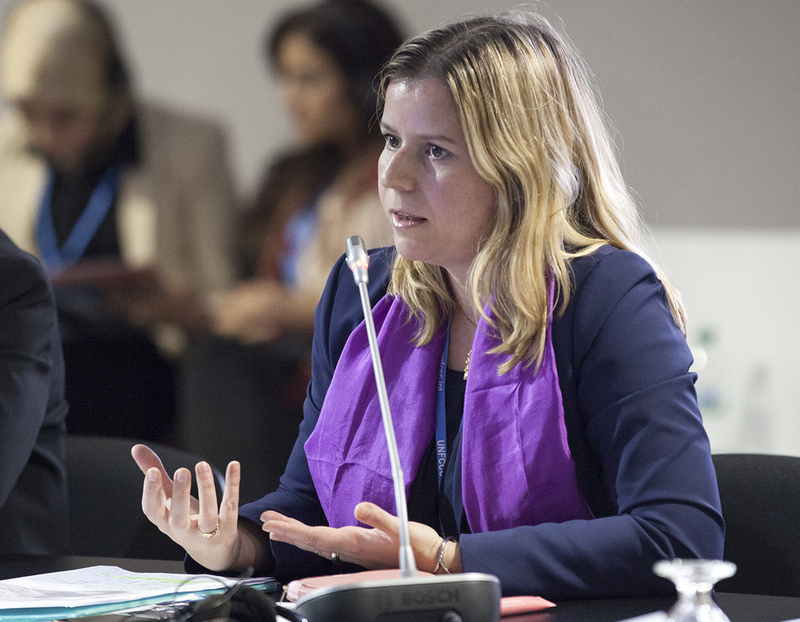 IISD Reporting Services, through its ENB+ Meeting Coverage, has provided a digial coverage, video coverage and a summary report from Oceans Action Day at COP 22, which is available in HTML and PDF format. 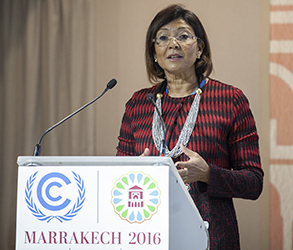 HRH Princess Lalla Hasna, Morocco. 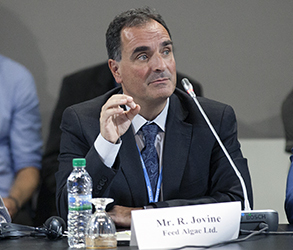 Raffael Jovine, Founder and Chief Scientist of Algae Ltd.